you must log in to receive this rate. Members may bring a friend or colleague to the conference at a cost of $250 each. No maximum to number you can bring for this price. Log In to receive this rate. Bring-a-collegue rate only applies before the late registration period. Bring a friend or colleague to the conference and save on groups of 2 or more for $300 per person. Bring-a-collegue rate only applies before the late registration period. Includes Thursday Reception and Friday Breakfast and Lunch. 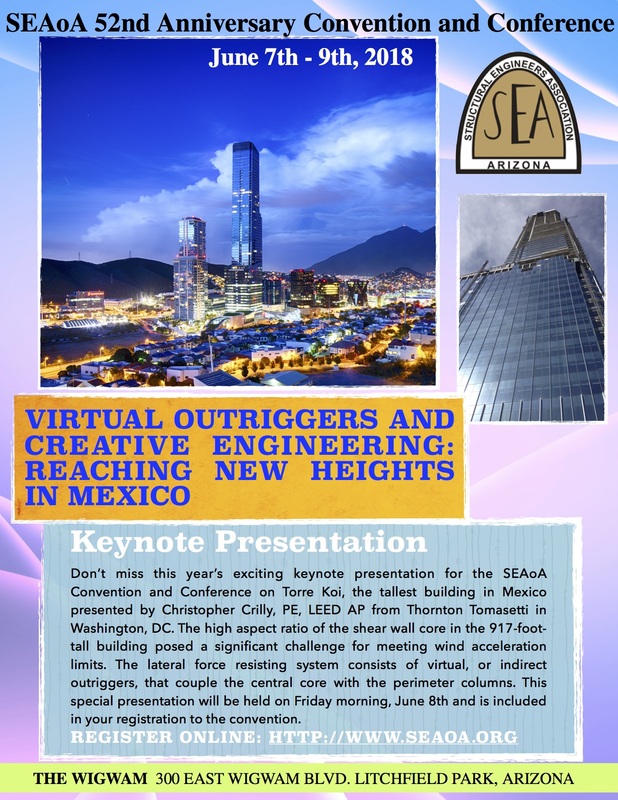 NCSEA Members can use the Coupon Code you got from your local SEA. Email info@seaoa.org for Coupon Code to get Member rates through your Professional Association. 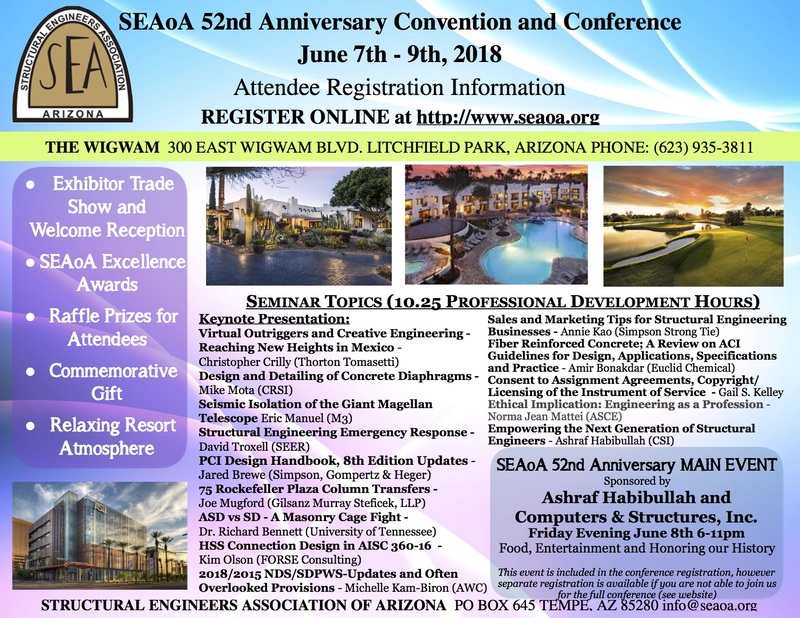 We are currently partnered with AzACI, AZ ICRI and ASCE of Arizona.